[YouTube] Art Of The Future: Immersive, Interactive, and Hi-Tech - Watch Here! In addition to shopping, guests enjoyed a braid bar from PRIV, messages, and make up touch ups from Tre'StiQue. New York and Southampton hot spot Sant Ambroeus catered the event providing food and gourmet treats all day. OCRF and QVC united once again for “QVC Presents Super Saturday LIVE,” a live, on-site broadcast which offered viewers nationwide the chance to purchase premier fashion, beauty, jewelry, accessories and home items for half the suggested. 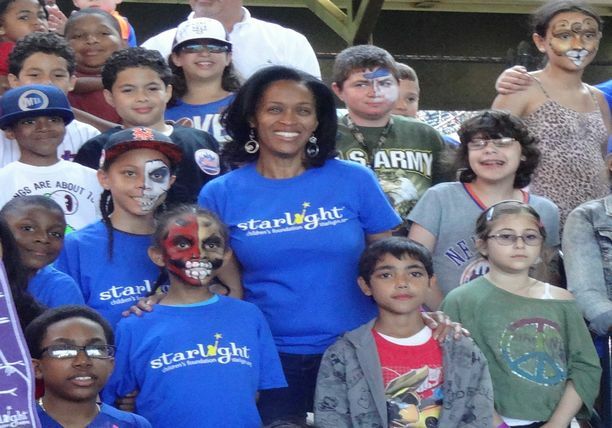 Yesterday marked the 12th anniversary for Starlight Night at Citi Field which was held at the Bullpen Plaza in Flushing, New York. 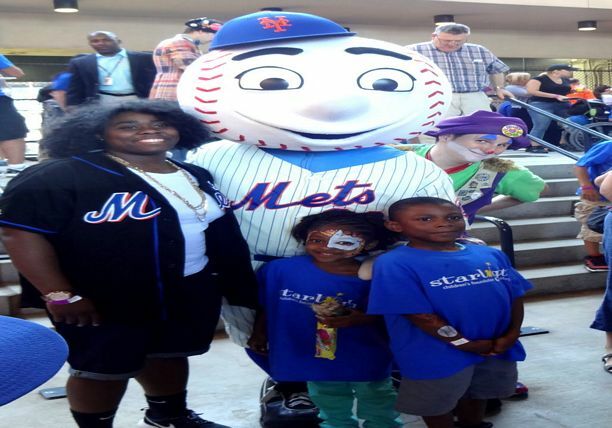 This amazing charity brought more than 300 seriously ill children and their families together for one magical night at the NY Mets game. Last night, these children created memories that would last a lifetime. 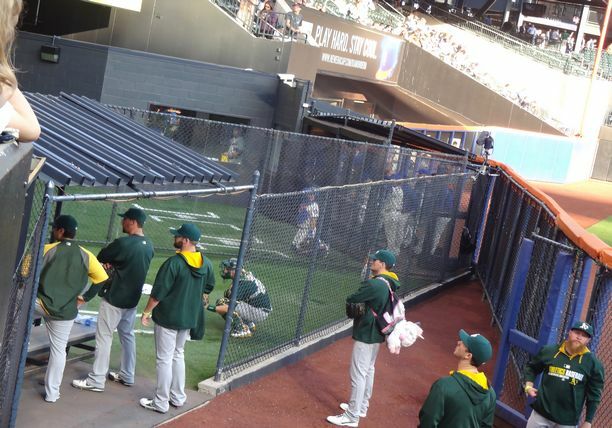 What better way to watch the game between the New York Mets and the Oakland Athletics, than at the stadium itself! 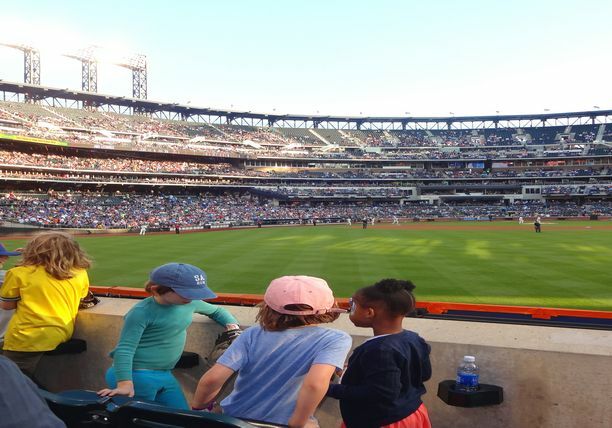 Thanks to the New York Mets who made this night possible by donating nearly 900 tickets in their “Big Apple” section, which put the biggest smile on these children’s faces. This was their night! 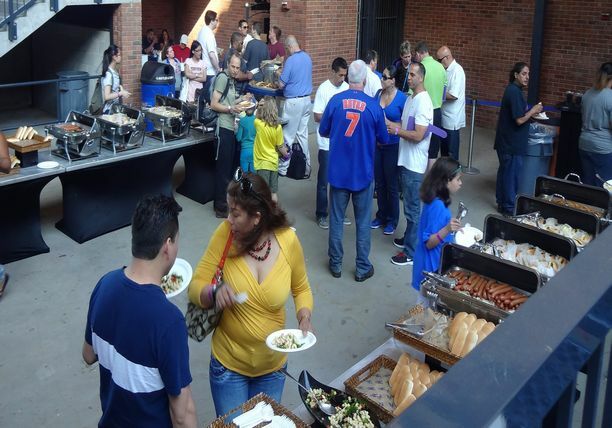 The magical night started off with a huge barbecue in Bullpen Plaza. The delicious food was sponsored by ARAMARK. You name it they had it, from hotdogs to burgers, buffet style! The children and their families were able to grab a plate, sit and mingle together. 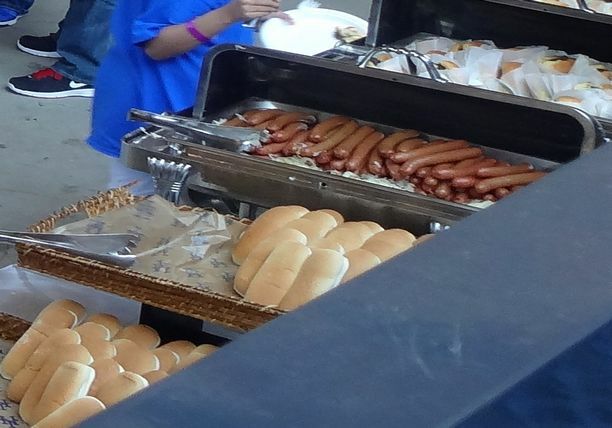 The barbeque was filled with happy children running and playing with each other. The one thing I love most about Starlight Children’s Foundation is everyone is like one big family; they all knew each other and welcomed new comers like myself with open arms. This was the place to be! The children had a fun-filled night ahead of them! There were many activities for them before the game. While they got their face painted, they played with clowns and had ice cream. 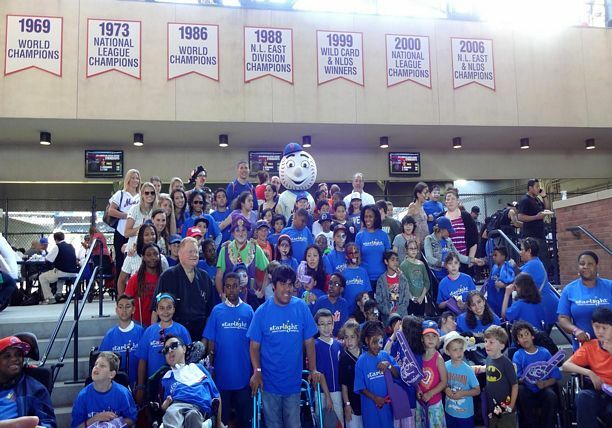 Mr. Met made his way greeting guests and took a beautiful group photo with the children. These little cutie pies strike many different poses for photographers. Talk about good sports! I had the pleasure of speaking to a friendly little girl name Cassandra who is part of the Starlight Foundation. She has been with the foundation for two years. During my little interview with her, I asked her “What does she look forward to most at this event?” Cassandra’s response was “I like meeting new people and the Mets wives are really fun and the actual game is really fun”. This event is what these children look forward to the most. They are able to interact and make new friends. The one message Cassandra wanted to share to other children who are going through similar situations is, “Don’t give up and you’ll make it through because you’re just like everyone else and you’re YOU!” I think having such amazing opportunities for these children helps them become role models for others. I also had the honor of speaking to Michele Hall-Duncan who is the Director of Children’s Services for Starlight Children’s foundation. She was able to tell me a little more about the foundation and who was going to be at the event tonight. 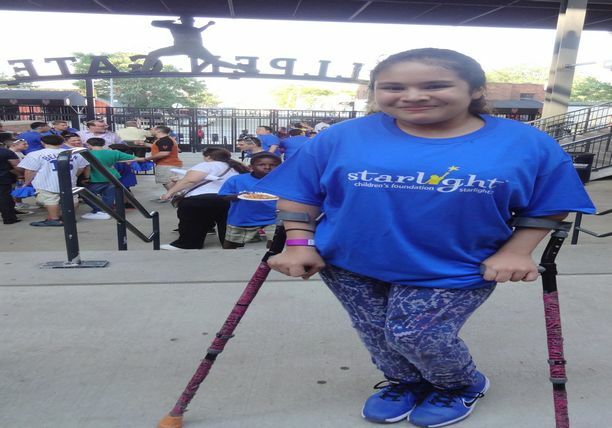 Starlight Children’ foundation serves children in the tri-state area. There were 370 people that came out last night to support the foundation. One of the programs that they have is the “Starlight Escapes Program” which hosted last night’s event. The kids had the opportunity to meet former baseball player Rusty Staub. They were able to get his autograph and take photos with them. 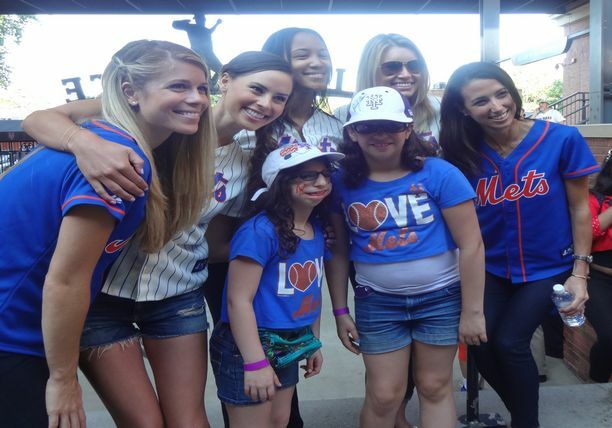 The children also had the opportunity to meet some of the NY Mets wives. The wives were super friendly, they chatted with the parents while taking photos with the kids. They even signed baseballs for them. Just amongst some of the wives, NY Mets #5 David Wright’s wife Molly Wright was in the house; which made it her second year at Starlight Night at Citi Field. The NY Mets really made a lot of dreams come true last night! Now let the game begin! The “Big Apple” section of the stadium was reserved for the children and their families. The seats were so great, the kids felt like they can actually touch the baseball players. As each baseball player made their way to the field, the kids were cheering for their favorite players. Now this is the way to watch a baseball game! On a daily basis, these children face such challenging medical journeys in their lives. This amazing event was created for them to really just be a kid, plus it makes a great story for them to share with others at school today. 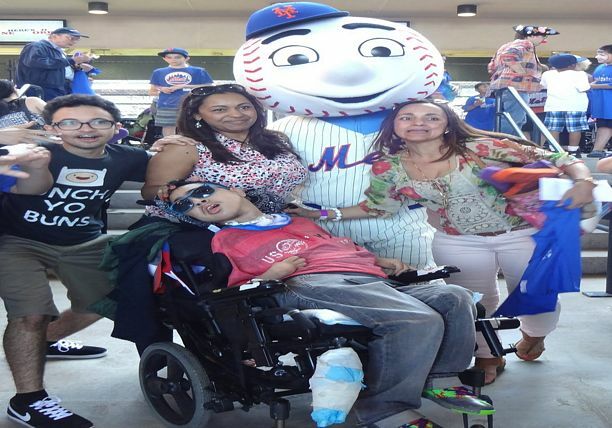 Starlight Children’s Foundation, the NY Mets and the many sponsors of last night’s event made it all possible! In Big Fan, comedian Patton Oswalt plays a huge New York Giants fan. The problem is, he doesn't exactly root for a team on Sunday in real life. So in his exclusive chat with PopEater, he summed up how he got into character: "Basically I had to draw on my geeky love for comics. It's the same spark, just different fuel." Big Fan has been riding a wave of buzz since its Sundance Film Festival debut - even drawing implications of a Golden Globe or Oscar nod. "I honestly don't know what to do when you're nominated. I'm assuming they send a car for you, and you go to some parties. "I'd be really happy if the movie got nominated... It would be good to see that happen knowing how hard Robert [Siegel] worked on this film." But playing a New York Giants fanatic isn't the only thing Patton is up to. "I just signed on as a regular to 'Caprica,' which is a prequel to 'Battlestar Galactica.' I'm also a regular on 'United States of Tara' and have a pretty good role in 'The Informant,' a movie Steven Soderbergh directed. In the meantime, I'll be finishing up my book, and hopefully it will come out next spring... I don't know what it is going to be about yet. It's all random essays, but I might tie it into a narrative. I haven't decided yet. We'll have to wait and see." For the entire interview, including Patton's preference between Big Fan and Ratatouille, head on over to PopEater!